Born in 1990, Davut Terlemez graduated from Uludağ University Faculty of Law in 2013. Davut Terlemez started his professional career in Güneş & Güneş law firm in 2015 and is working mainly in the areas of execution and bankruptcy law, precious documents and debt law, tax law, intellectual and industrial rights law. 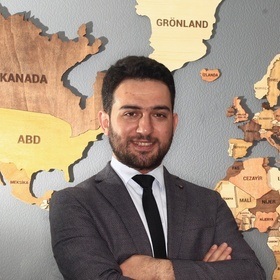 Davut Terlemez besides his professional career continues his academic career as well and at present is a master’s degree student in the Department of Public Law at Suleyman Demirel University’s Law Faculty.